Confucianism Followers - What many Confucians are there? Where do they live? First of all, there is some disagreement about whether whether Confucianism should even be considered a religion. Confucianism itself prescribes very few religious rituals, and those it does (like ancestor worship), are perhaps best thought of as a continuation of traditional Chinese folk religious practices. Confucius himself made some statements, which to modern Western ears, sound distinctly agnostic. Confucianism does seem to often serve the role of a religion in the lives of its adherents. There are believed to about 6 million adherents of Confucianism in the world today. The countries with the largest populations of Confucianists are China, Japan, North Korea and South Korea, and Vietnam. Confucianism was once the official state philosophy of China, however since the Communists come to power in 1949 and established the People's Republic of China, Confucianism has gone into drastic decline in that country. 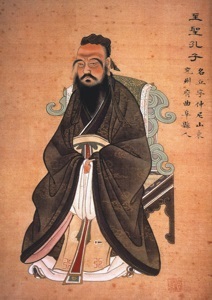 The works of Confucius were first translated into European languages by Jesuit scholars in the 17th century. Although very few Europeans adopted Confucianism, his ideas were influential during the Enlightenment, especially on the Deists and the French philosopher Voltaire. Also from the 17th Century onwards, the Hui Muslims of China developed a body of literature, the Han Kitab, in which they sought to bring Confucian ideas into Islamic thought. In the 19th and 20th Centuries, Confucianism has continued to be an important influence on thought in China and nearby countries. In addition, modern movements such as Cheondoism are in part based on Confucian ideas.